Basic block callback to detect system calls that don't return. 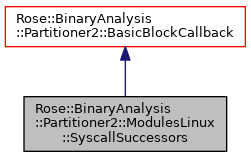 Examines the instructions of a basic block to determine if they end with a system call that doesn't return, such as Linux's "exit". Definition at line 22 of file ModulesLinux.h. An optional Linux system call header file can be provided to override the default.